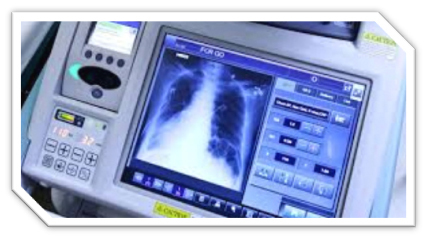 Wafer thinning is the process of removing material from the backside of a wafer to a desired final target thickness. 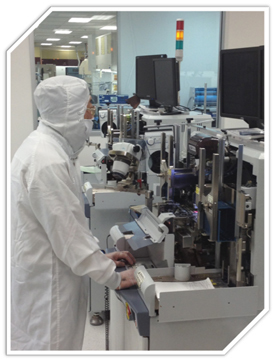 The two most common methods of wafer thinning are conventional grind and chemical-mechanical planarization (CMP). Conventional grinding is an aggressive mechanical process that utilizes a diamond and resin bonded grind wheel mounted on a high speed spindle to perform the material removal. The grind recipe dictates the spindle RPM, rate of material removal, and the final target thickness of the work piece. Harder materials like sapphire typically require slower feed rates compared to more forgiving materials like silicon. The wafer is positioned on a porous ceramic rotating vacuum chuck with the backside of the wafer facing upwards (towards the grind wheel). Both the grind wheel and wafer chuck rotate during grind. Deionized water is jetted onto the work piece to provide cooling and wash away material particles generated during the grind. A grinding tape is applied to the front side of the wafer to protect the devices from being damaged during thinning. For conventional grinding the thinning is a two-step process. The first step is a coarse grind that performs the bulk of the material removal. The second step is a fine grind. 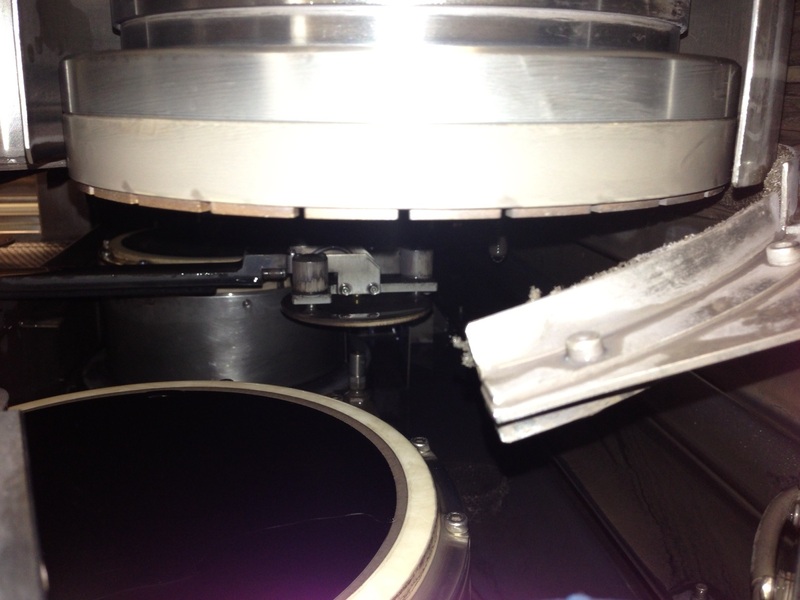 The fine grind typically removes 30µm of material or less and provides the final finish on the backside of the wafer. Standard finishes for conventional grind include 1200 grit, 2000 grit, and poligrind. 1200 grit is a rough finish where the grind striations are clearly visible. 2000 grit has improved roughness compared to 1200 grit and the grind marks are less apparent. Poligrind is a near-mirror finish with the smoothest roughness. Poligrind also provides the highest wafer and die strength as the high grit wheel removes the most subsurface damage. As a rule, as the grit increases the wafer strength and smoothness improves while the wafer warpage and subsurface damage decreases. Polish is another finish of conventional grinding. A polished finish is a mirror finish. This provides the least warpage and highest die strength of all finishes. Mechanical polishing requires a separate process and equipment from conventional grinding. Mechanical polishing is a minimal removal process of only 2-3µm of material and is typically only performed on silicon. In CMP, abrasive chemical slurry is used with a polishing pad to perform material removal. CMP provides greater planarization compared to mechanical grinding, however, it is considered a “dirtier” and more costly process. The wafers are mounted to a backing film, such as a wax mount, which can be difficult to remove or leave a residue on the front side of the wafer. hard or exotic materials like tungsten, but the cost-benefit and cleanliness of mechanical grinding compared to CMP should always be factored when determining the method of wafer thinning.